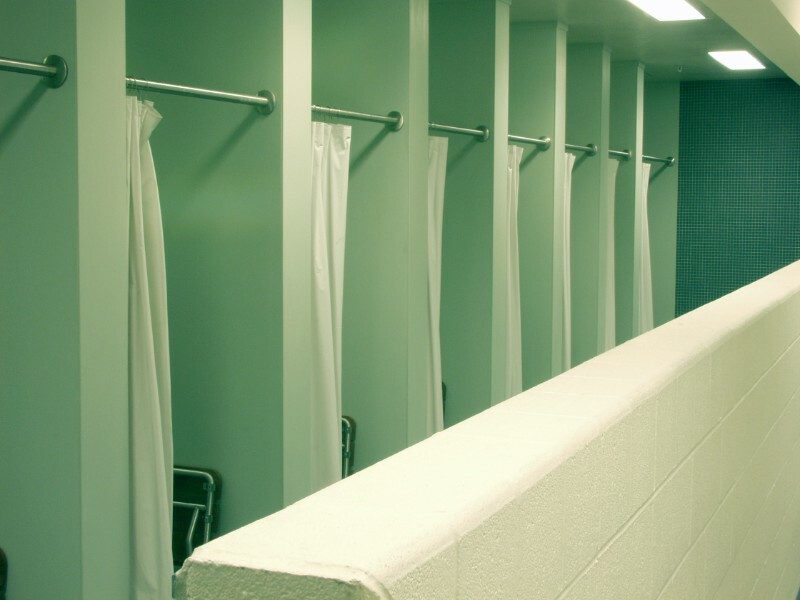 "You couldn't pay me to go into the shower rooms without shower shoes on..."
Harsh things have been said about military showers over the years. Most of the negativity is just chalked up to "military life,” but it doesn't have to be that way. 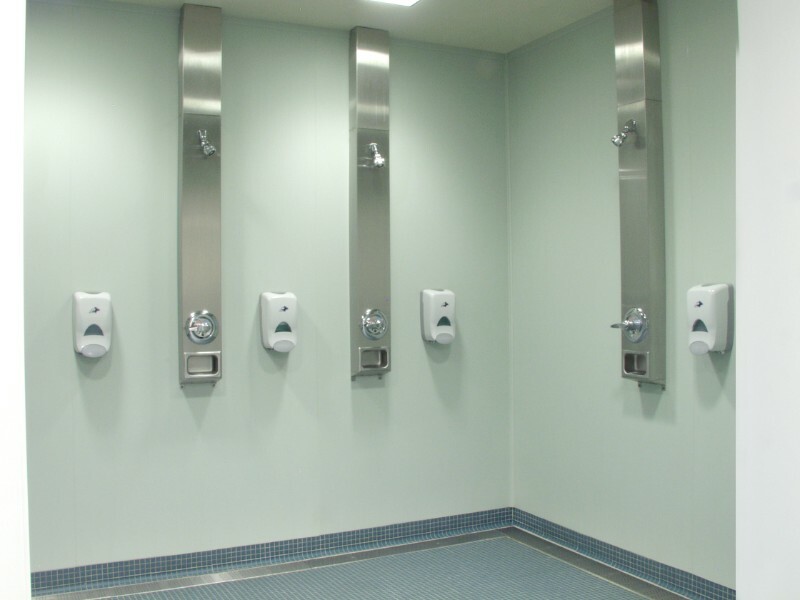 Whether your showers are in existing barracks or in newly constructed housing, we can help. 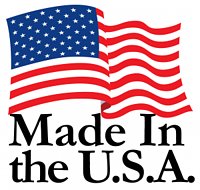 All Meridian Solid Surface Products are manufactured with pride in Massillon, Ohio. 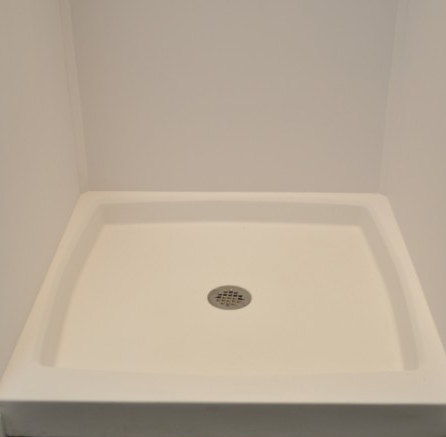 Solid surface is a non-porous material, so bacteria, mold and mildew have no place to take hold. 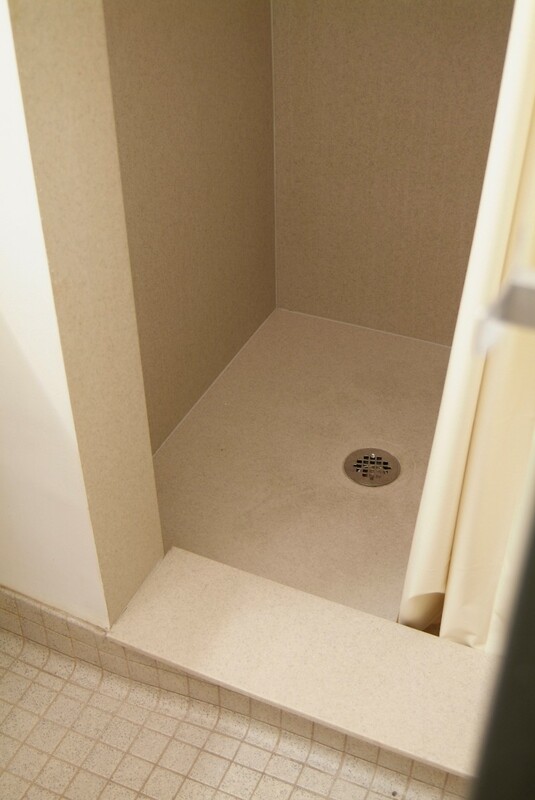 When the shower inevitably gets scratched, you won't need to replace it. 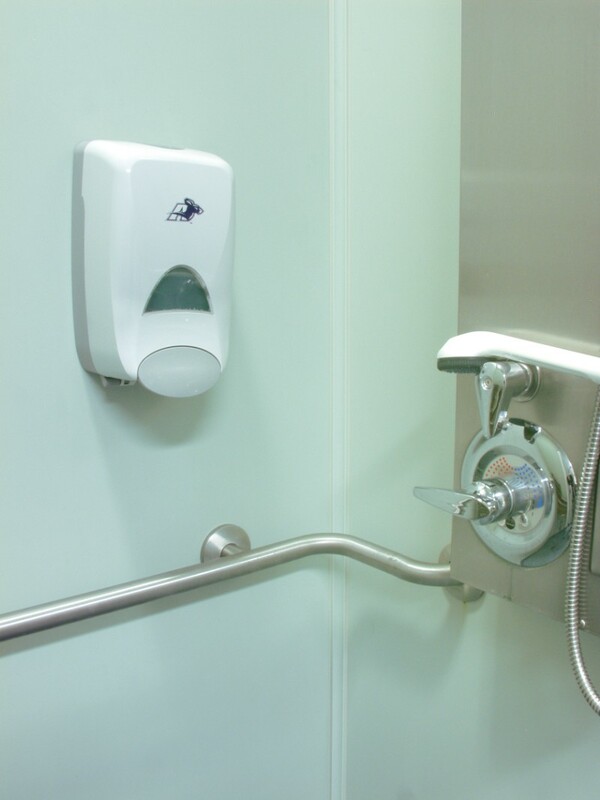 Wear and tear can be buffed away with sandpaper. 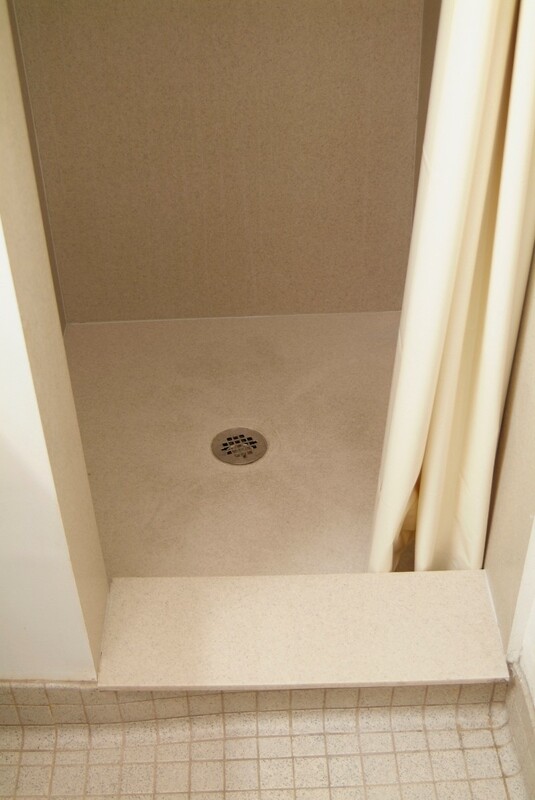 Solid surface shower bases can be created with custom designs that will fit any new or existing bathroom layout. 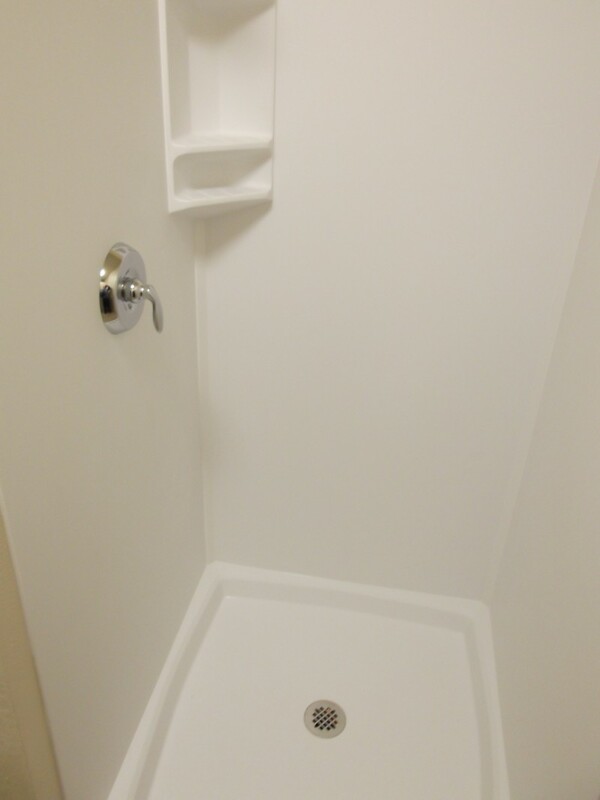 Because of the design flexibility, the showers can be made for single solider housing, or for large barracks. Not every project has a cookie cutter design. In fact, most projects don’t. Have you ever found yourself trying to make standard items fit into projects that are heading in the non-standard direction? Existing drains don’t have to limit your project. 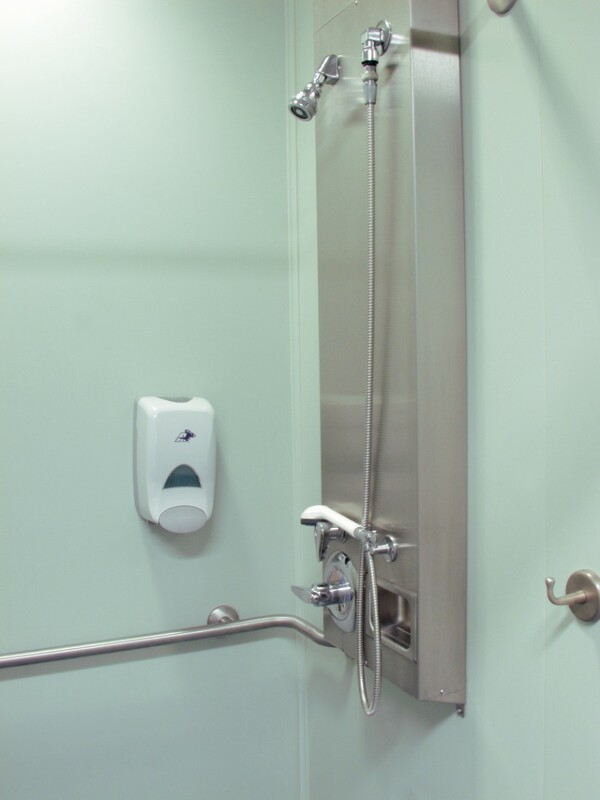 New construction, or a remodel, we can create the perfect solid surface shower pan to fit your single or multi-unit shower needs. 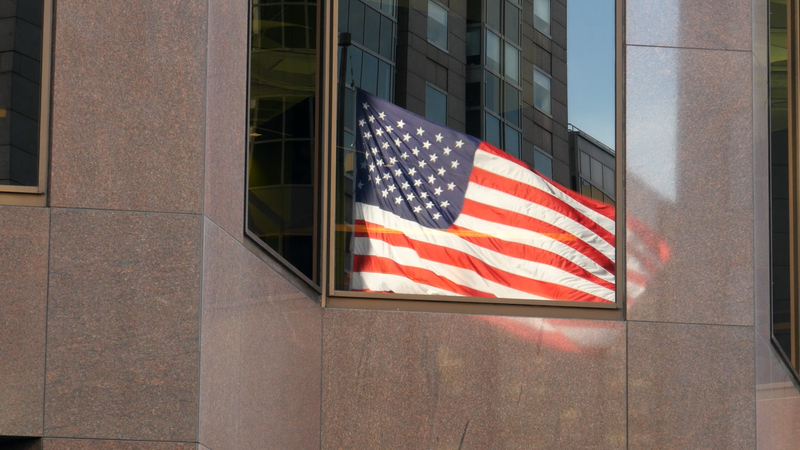 Click the button below to reach out to one of our representatives directly.